We often get asked, ‘what’s the secret of building a successful diversity network?’ My reply is that you need to approach it from all sides - and I can’t stress enough that success is down to an amazing band of volunteers. 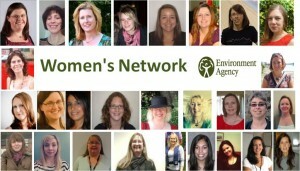 The Environment Agency (EA) Women’s Network started in 2010 when a group of volunteers used the intranet to ask the simple question - ‘would you like a Women’s Network and why?’ We had 100 responses in 3 days and it became evident that women felt there were barriers preventing them from getting on in their Civil Service careers. At the same time, our executive champion raised difficult questions about the organisation’s 'static' gender balance. The parallel forces of senior leadership and a staff-led approach were the key to our success. Both had to push at the same time to effect the changes that were needed. Five years on, I can look back and see 3 key factors that helped our Women’s Network grow in size and effectiveness. We had, and continue to have, a clear vision – to ‘enable, equip and encourage women to reach their full potential in the workplace’. But an important feature of this vision has been that it is inclusive. From day 1, the Women’s Network has included both women (as members) and men (as friends). Within 2 years, the network had 1000 members, and the number of members and friends has now risen to 1650. Our approach to the network action plan has been to refresh it annually, and always to ask our members and friends what they want, and need, from the Women’s Network. Mentoring, coaching, career development, leadership and confidence, are some of the answers we get. We aim to help colleagues at every level of the organisation and with every aspiration, whether they want to rise through the ranks, or to be the best they can be in their current role. Every year we evaluate our work with an attitudes survey. 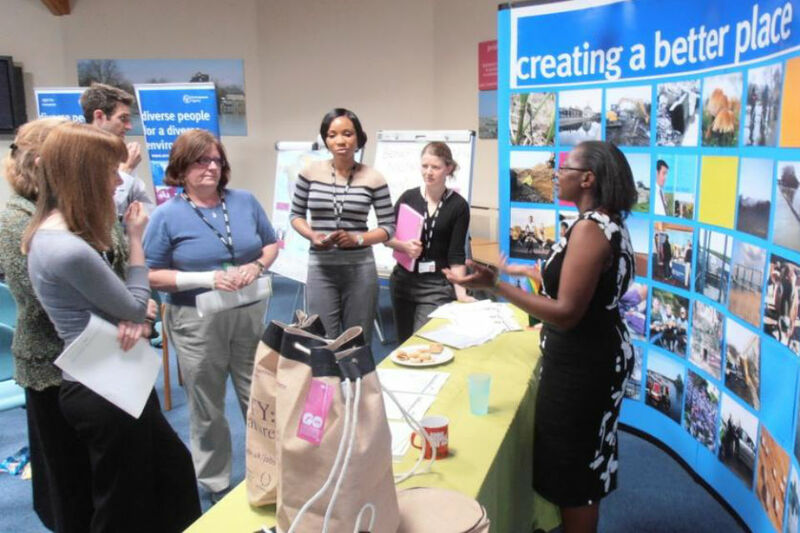 The results of the latest survey show that 82% of members/friends felt more confident in their role in the last year, while 85% believed that issues affecting women were being addressed in the Environment Agency. We keep the energy levels high in the network by constantly looking for more volunteers. Our committee of 64 volunteers host free lunchtime events in local offices throughout England, on subjects including mindfulness, the glass ceiling, networking and emotional intelligence. We have maintained momentum by changing committee leads on an annual basis so that ideas remain fresh. And we are always working to develop innovative programmes, such as how to engage more friends (men) in gender equality; and creative ways to communicate, using new communication channels and working with other networks on joint initiatives. A number of initiatives that started in the EA Women’s Network have now been mainstreamed - mentor match-finder and job-share register, for example. Because of the parallel approach of senior leaders championing gender diversity and inclusion, and the Women’s Network highlighting barriers for women, I believe we are seeing real change. The representation of women in executive management has risen from 25% in 2010 to 37% in 2015. 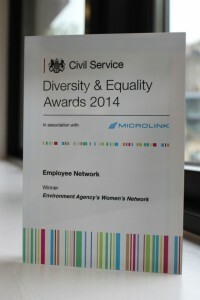 Last year, we won the Employee Network award at the Civil Service Diversity and Equality Awards, as well as the Public Sector category in the Breaking the Mould Awards . We have made good progress, but one thing we’ve learned is that you never stop learning! And as well as learning from others, we really want to share our own experience. The EA Women’s Network is now supporting the establishment of a cross-government group of women’s networks, to share best practice and learn from each other. This group of groups recently held its first meeting and we have lots of opportunities to work with other networks. There is no contradiction in saying that our ultimate aim is not to exist at all, because the need for us has gone. Networks such as ours are necessary only for as long as it takes the barriers we face to to be dismantled.